The Narcotics/Vice Bureau reports the arrest of a Queens woman for Unauthorized Practice of a Profession that occurred on Friday, November 29, 2013 at 3:35 p.m. in East Meadow. East Meadow, NY - November 29th, 2013 - The Narcotics/Vice Bureau reports the arrest of a Queens woman for Unauthorized Practice of a Profession that occurred on Friday, November 29, 2013 at 3:35 p.m. in East Meadow. According to detectives, an undercover operation was conducted at 544 East Meadow Avenue. The defendant, Caimin Dong, 52 of 43-17 Union Street, Flushing while working at the location performed an unlicensed massage on two undercover detectives for an agreed amount of money. In addition, she offered to engage in a sexual act with one of the detectives for an unknown amount of money. The defendant was placed under arrest without incident. Dong is charged with two counts of Unauthorized Practice of a Profession and one count of Prostitution. She will be arraigned on Saturday, November 30, 2013 at First District Court in Hempstead. 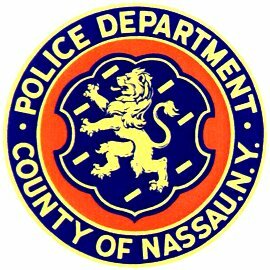 Subject: LongIsland.com - Your Name sent you Article details of "NCPD Crime Alert: Queens Woman Arrested for Illegal Massage, Prostitution in East Meadow"